All the way from the realm of Australia, Cameron is a guy with a soft spot for Warhammer, old and new. Cameron has hosted 33 Episodes. Put down your shuriken catapult or celestial hammer...its time for Episode 25! Matt and Cameron discuss the novel Shadespire: The Mirrored City and ideas of what the next 40k Chaos God could be! Cameron plays a 40k tournament! We promised you Black Library authors and we now deliver! Matt and Cameron are joined by Robbie MacNiven, known for such novels as Red Tithe, Blood of Iax and The Last Hunt. Robbie shares his history with Warhammer, what he thinks about Primaris Marines, being the "Carcharodons Guy" and more! Also Robbie answers some questions from our Discord members so don't miss it! Like the Warmaster appearing from the void, here's Episode 24! Matt and Cameron discuss the history behind the Necrons' War in Heaven and which of the Mortal Realms we would love to see epic battles fought in! 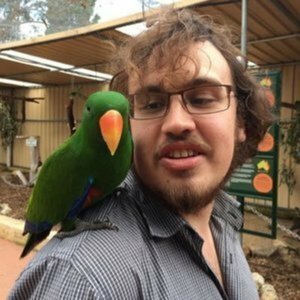 Like a bolt of lightning from Sigmar himself, here's Episode 23! Matt and Cameron discuss the lore of the new/updated units of the Gloomspite Gitz and all the latest news including Shadowspear! Dreadfane, Combat Arena and more! Can you believe it! It's already time for our 1st anniversary episode! Previously promised as a special treat Matt and Cameron play the Warhammer 40k RPG Wrath & Glory! We also announce our recent competition winner and look out for another giveaway at the end of the show! What a way to start 2019.....Episode 20 of your favourite Warhammer podcast is here! Matt and Cameron discuss all the lore from the Vigilus Defiant book and all the reveals from Warhammer World New Year Open Day! Your Hobby Goals for 2019! 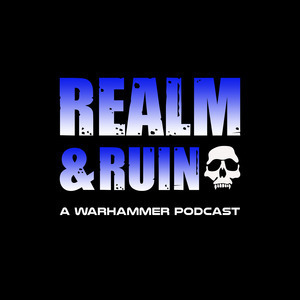 Episode 19: Warhammer Wonderland 2018! Santa is here and as you have been good, have Episode 19 as a present! Matt and Cameron review the Warhammer highlights of 2018 and share some of their plans for 2019! Summary of all our episodes! Welcome to Episode 17 Gitz and Warhammer fans! NOTE: - This episode was so massive we had to split it into two separate episodes! Matt and Cameron give an overview of all the lore from the recent Orks Codex and the upcoming books from Black Library! Which heroes from the World-That-Was would we like to return to AoS? Here is part 2 of Episode 17: Flash Gitz and Old World Hitz!